$6.99 and each additional Box Now: $5. 20% off Business Register Checks. Free Shipping on Business items. $4 off New Food Check Packs. New Customers - First Box Now: $5.49. Checks In The Mail is your place for personalized checks and stationery. Browse their online store of templates for bank checks, address labels, stationery and folders. Use Checks In The Mail coupon codes to save on your next personal design, you have at least 200 to choose from. If you’re looking to add a little flash and a more of what you love reflected in the money you spend, look no further than Checks in the Mail. Use a Checks in the Mail coupon code to save money with every purchase. Below are instructions on how to use a Checks in the Mail coupon code and how to cash in on Checks in the Mail deals that don’t even require a code. After locating the Checks in the Mail coupon code or deal you want, click the corresponding "Get Deal" button. This page will redirect to Checks in the Mail where you can shop and a new window with the code will open. After you have clicked the Couponpal "View Deal" button, your window will be redirected to ChecksintheMail.com. You can now browse through the category of items you want to purchase. When you find the item you are interested in, click on its picture to take you to the product page. From the product page, go through the steps to put together your order. For example, you may need to hit a minimum purchase amount to receive the free shipping deal. Once you have gone through all the steps and made your selections, click "Checkout." Locate where the site asks, "Enter Promo Code" on the right hand side of the shopping cart. Paste the Checks in the Mail coupon code where it says “Enter code here” and select “Apply.” The cart will automatically refresh and you will see your new lower price. Checks in the Mail makes it easy to put your signature self on the money you spend. They offer painless, budget friendly options on personalized checks and their ordering process is the best around! If you have any questions about ordering your awesome new checks, read below to find the answers. Why isn’t my Checks in the Mail coupon working? If you are trying to use a Checks in the Mail coupon and it won’t work, chances are, it’s expired. Make sure you check and see what the end date of the offer is, and see that it hasn’t already passed. Another possibility is that there are restrictions on the coupon. Some offers are only valid on purchases of a minimum amount, or on purchases of certain items. Check the coupon you want to use make sure you know what the restrictions are. Where do I look to check the coupon restrictions? You might see a small “i” or “information” symbol in the upper right hand corner of the coupon. Click on this to reveal the coupon restrictions. If you don’t see an information symbol, then either there are no restrictions on the validity of the coupon, or you may have to check at ChecksintheMail.com to find out more information about the offer. How much does shipping cost from Checks in the Mail? Can I get free shipping? The cost for shipping will depend on where you live and how fast you want to receive your order. The good news is, Checks in the Mail offers free shipping on many items. Check back often at CouponPal.com to find the latest free shipping deals from Checks in the Mail. Can I cancel or return my order if I change my mind? Due to their lightning speed with processing orders, you are unable to cancel or modify an order once it has been placed. More information on your order status and reorder options can be found here. How can I contact a Checks in the Mail representative? You can get in touch with the Checks in the Mail by using this form. If I find a Checks in the Mail deal that you don’t have on your site, can I add it to your page? Right now, CouponPal doesn’t allow users to post their own deals on our pages. 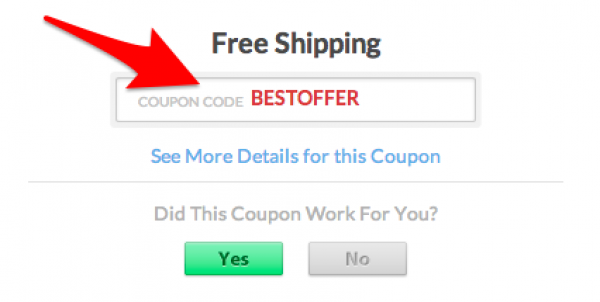 Many other coupon sites do this, but we want to be completely sure that every deal featured on our pages is valid. We still want to hear from you though! Feel free to email us anytime at contact@couponpal.com with deal suggestions, ideas, or just to say hi. Money is how we survive and live a full life. It might not equal happiness, but it certainly doesn’t hurt! And the way you spend your money says a lot about you. Checks in the Mail offers a huge selection of personalized checks so you can share a little of yourself with every precious dollar you spend. With savings of up to 30% off, now keep your wallet happier than ever. Since opening their doors in 1922, Checks in the Mail has been an industry leader in bank check supplies. They offer fantastic customer support to families, individuals, and businesses alike. Now with over 200 colorful check designs, you can really snazz up your spending. We can’t wait to see what they offer next! You shouldn’t have to spend your entire paycheck on checks that’ll likely be cashed using your paychecks! Checks in the Mail has everything you need to pay your bills and stay organized with your finances. Take advantage of a Checks in the Mail promo code and save big on the incredible items you’re about to score.